Ravi Shastri has promised India "will not throw in the towel" when they face England in the fifth Test at The Oval starting Friday despite having already lost the series. England's 60-run win in the fourth Test at Southampton gave them an unassailable 3-1 lead in the five-match contest. It also meant India, for all they are the world's top-ranked Test side, had now won just one of their last nine series outside Asia. 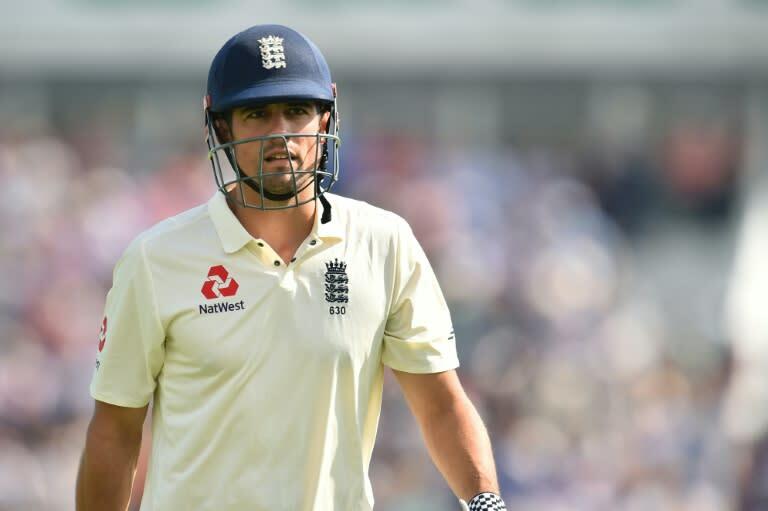 The Oval clash has been given added significance by the fact it will be the last appearance before international retirement for Alastair Cook, England's all-time leading Test run-scorer. But India coach Shastri, who helped his country to a 1986 series win in England, is determined the tourists spoil the party. "This is a team that will not throw in the towel," Shastri told reporters at The Oval on Wednesday. "It will come out there and look to compete and not be on the first flight home, rest assured that's exactly what we will do." The frustration for India, who earlier this year lost 2-1 in South Africa, is that two Tests in the current series -- a 31-run loss in the opener at Edgbaston and the Southampton clash could well have gone their way, particularly if captain Virat Kohli had enjoyed more support with the bat. "I think you have got to get tough mentally," said Shastri when asked how India could improve their away record. "We have run teams close overseas and we have competed. But now it's not about competing. We have to win games from here. "The scoreline says 3-1 which means India have lost the series, what the scoreline doesn't say is that India could have been 3-1 or it could have been 2-2. And my team knows it. They would have hurt and rightly so after the last game." England, despite having won the series, face several awkward problems of their own, with uncertainty surrounding whether Jonny Bairstow, as is his wish, will keep wicket, rather than Jos Buttler and what that means for their respective batting positions. It looks as if off-spinning all-rounder Moeen Ali, fresh from bowling England to victory at Southampton, will continue to bat at three as he did in the second innings of the fourth Test, thereby allowing captain Joe Root to bat in his favoured spot at number four. The vexed longer-term question of who replaces Cook at the top of the order remains, as does what England should do when James Anderson -- who needs just four more wickets to equal Australia great Glenn McGrath's record of 563 for the most Test wickets taken by a pace bowler -- finally calls it a day. "Four-one sounds better than three-two. But if I could play a really good innings that would be fantastic," said Cook. "I think I must regret getting Ishant Sharma out as my (Test) wicket, because he's kind of got his revenge since by getting me out constantly over the last couple of series. "The ball going away from me from around the wicket I found the hardest to conquer." England too have struggled away from home lately but former captain Cook said the future was bright for Root's men. "This team is now is more talented that any I’ve played in as a group of people," he insisted. "They can do special things on their day. It's just a question of whether they can be more consistent and more adept away from home," Cook added.